HP’s train rolled into CES 2017 today with a load of new technology including a refreshed version of the company’s popular 2-in-1 packing some curious changes. The updated Spectre x360 is actually slightly thicker than its predecessor by 1.9mm, or about the thickness of a nickel. It’s unusual in the tech world to see a next-generation product add girth but as you’ll see shortly, there’s a reason for the extra heft. Sarah Murry, Newsroom Managing Editor for HP Inc., notes in a recent blog post that 65 percent of their customers prefer 15-inch notebook displays and a whopping 93 percent prefer a 4K panel. That, then, is exactly what HP has delivered with the 2017 Spectre x360. The 15.6-inch LED-backlit display is indeed of the 4K variety with a resolution of 3,840 x 2,160. It’s also Windows Ink certified should you want to quickly jot down some notes or do some sketching. 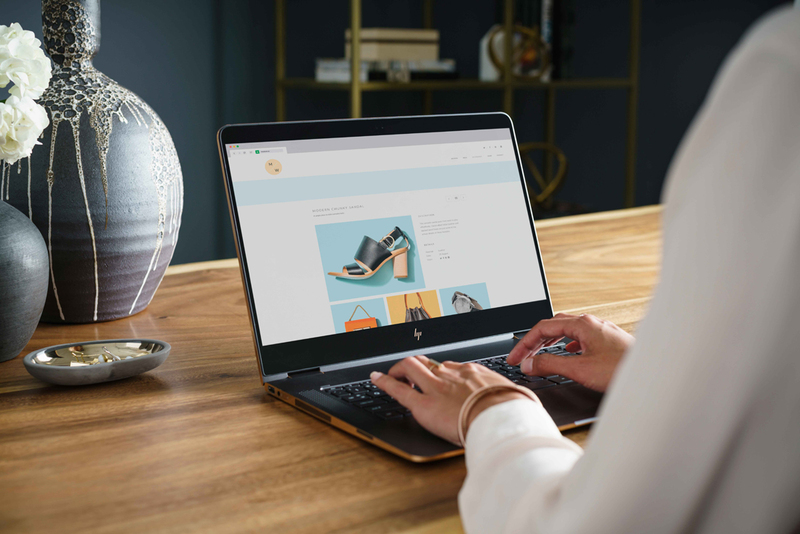 The customer-inspired changes didn’t stop there, however, as HP also shifted to a “micro-edge” display that reduced the screen’s bezel by 70 percent down to just 4.5mm on each side. Helping drive the high-res screen is Intel’s seventh-generation Core i7-7500U Kaby Lake processor, a dual-core chip with four threads operating at 2.7GHz (up to 3.5GHz with Boost), and an outdated Nvidia GeForce 940MX GPU. Other notable specs include 16GB of DDR4 RAM, a 256GB PCIe NVMe M.2 solid state drive, dual-band 802.11ac Wi-Fi, Bluetooth, Bang & Olufsen speakers, a USB 3.1 Type-C Gen 1 port, a Thunderbolt 3-enabled port, a USB Type-A 3.1 Gen 1 port, an HDMI port, a combination audio jack and a media card reader. The fact that there’s no longer a 1080p display option necessitates a bigger battery and thus, explains the added thickness. HP claims the system is now good for up to 12 hours and 45 minutes between charges (stat courtesy MobileMark). The 15-incher measures 17.9mm thick and tips the scales at 4.42 pounds. The new 15.6-inch Spectre x360 is expected to be available for pre-order from today via BestBuy.com and HP.com. HP adds that it will be available for purchase later this month on BestBuy.com and in Best Buy stores in February starting at $1,499. If you can stand to wait, additional configurations starting at $1,279.99 will be available on HP.com come February 26.